After three months of no rain, we have had two days of non-stop rain (8th and 9th August). The vines needed particularly the Younger vines whose root systems do not go too far down. 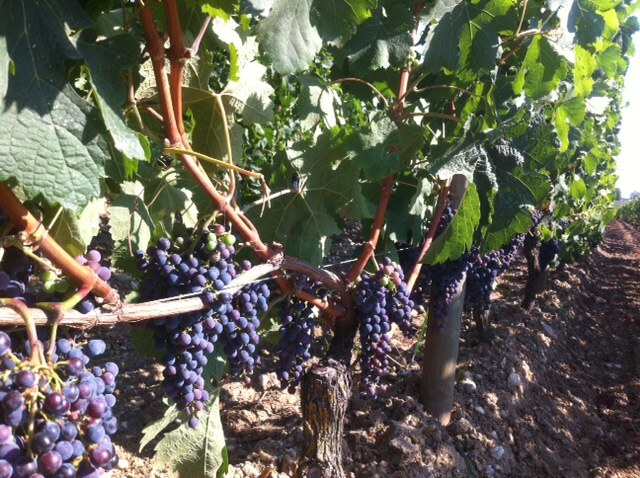 Veraison has finished (chaging of the colour) but No ‘arret de croissance’ yet (when the vine stops growing leaves and switches to putting all energy into its reproductive fruit). This has to happen at some point for it to be an outstanding vintage and not just very good. Before the rains, it was being compared, by a somewhat ‘older’ commentator to 1947! Lets see what will happen next. More storms to come tomorrow. Last sprayings are being undertaken but most of Europe is on Holiday with St Marie’s day on August 15th (not good forecast either). Since 12th August there has been a lot of rain which has been very positive with the odd sunny day in the 30s. It has swollen the little red berries which were previously the size of small peas. This is good news for the yield and for the stress of the vines but will delay the moment of ‘arret de croissance’ if it happens at all to make this an outstanding vintage.